Purchasing multiple posters? Buy 9, get 1 free when you buy a 10 pack. Grades 1-5. This durable, flip-chart style poster demonstrates three alternative addition strategies, plus the traditional strategy, to help students develop their confidence and establish a foundation for problem solving. Build Mathematical Vocabulary. 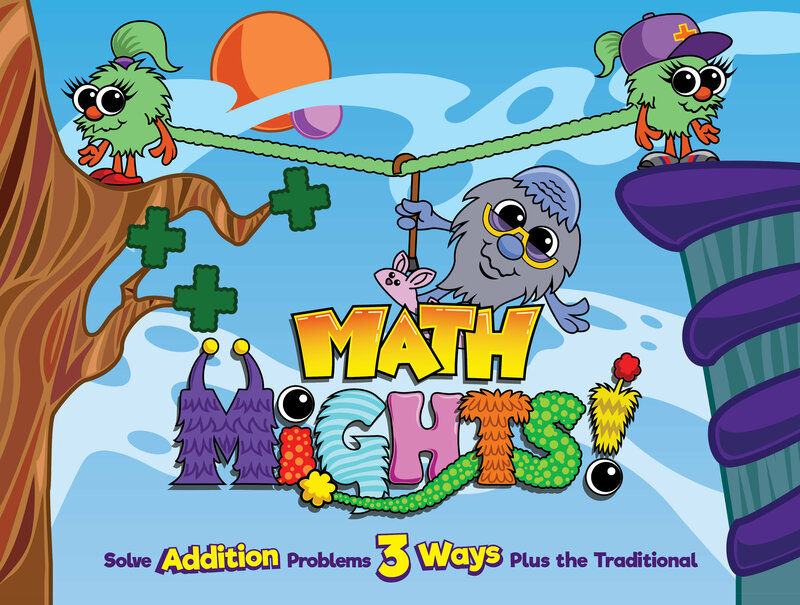 Memorable Math Mights characters represent each strategy so students can learn to associate the characters with the strategies and they can begin to use mathematical vocabulary appropriately. Eight posters in one! 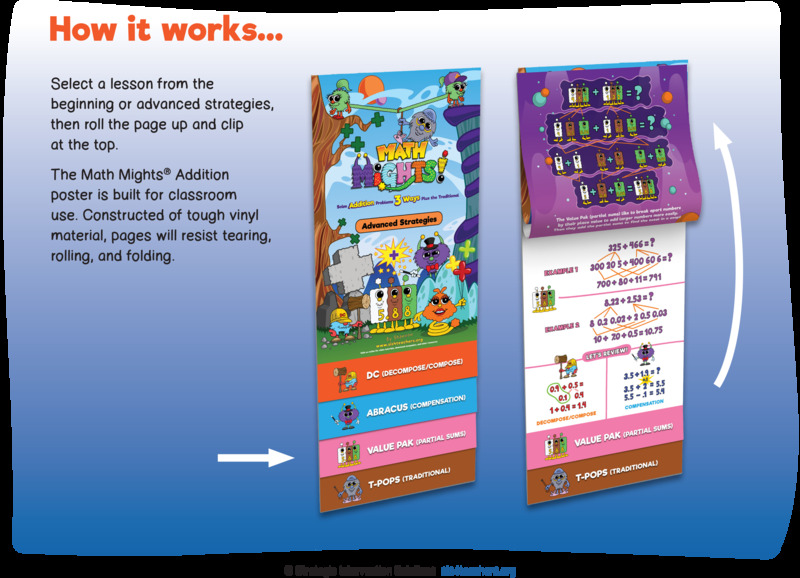 Each tab of the poster features a different character describing how to solve the problems his or her way. One side will feature beginning strategies with appropriate examples using easily accessible numbers. 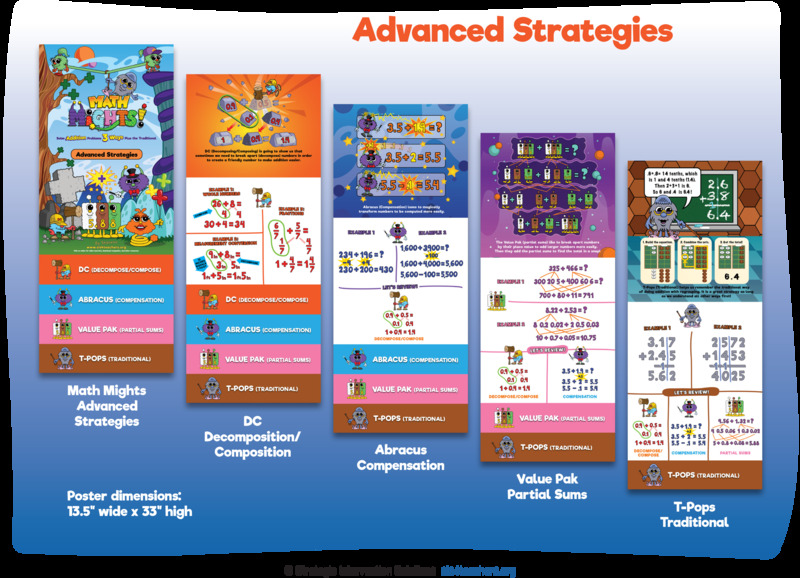 As students start to grasp the beginning strategies, flip the poster around to reveal more advanced strategies involving more advanced examples (such as fractions or decimals).